This modern update to the traditional table throw is sleek and eye-catching. 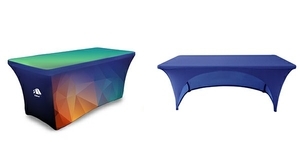 The Stretch Table cover fits snug to most 6' & 8' collapsible tables (be certain to order the correct size), perfect for a variety of tradeshows and events. 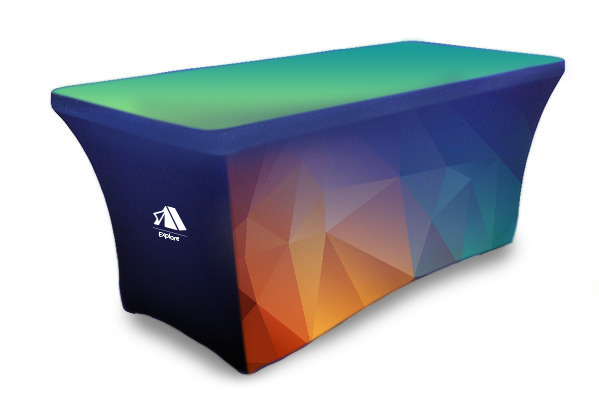 The table cover is a fully customizable dye-sub graphic print. Canvas loops included securing the cover to each leg during install.